Listed below is a hand-picked selection of just some of the stunning venues for your wedding on the Amalfi or Sorrento Coast. They have been chosen to give you an idea of the variety of venues that Weddings by Emily Charlotte can offer for your wedding. If you have somewhere in mind that is not shown below then please do get in touch to discuss in more detail. A stunning 5* hotel with beautiful decor throughout and a large, well-designed terrace for a reception over-looking the sea. A large hotel with 2 outdoor terraces or a light, airy indoor reception room for up to 200 guests. An exclusive event-only villa just a short drive from the centre of Sorrento. Villa Angelica has a large sea-view terrace for your reception. An impressive 5* hotel in the very heart of Sorrento. Large frescoed rooms and Italian style can be found in abundance at Hotel Victoria. A modern boutique hotel in the hills of Sorrento. This venue boasts spectacular views which make Capri appear within touching distance. A relaxed hotel in the centre of town with a panoramic sea-view terrace for your reception or symbolic ceremony. A short walk from the centre of town Hotel Marianna has a variety of terraces to choose from for your symbolic ceremony or reception. 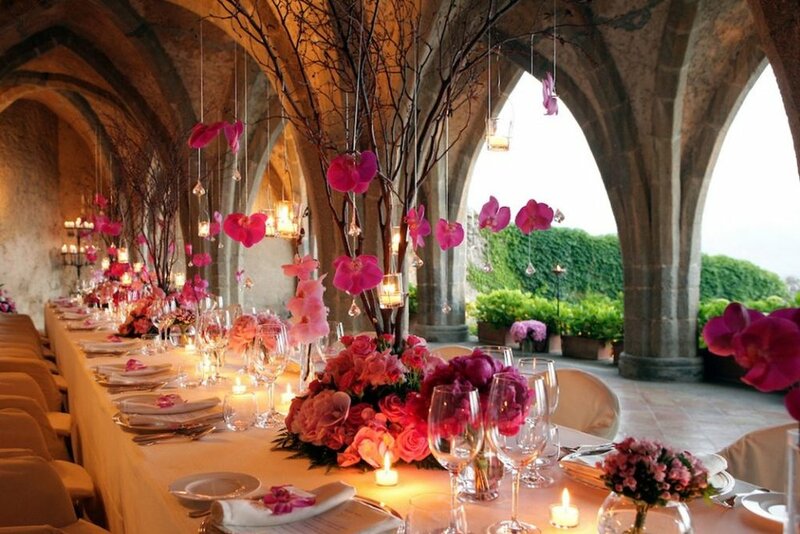 The Sorrento Cloister is one of the few locations for a civil ceremony in Sorrento. In the heart of town this historic spot is a beautiful setting. A luxurious hotel in the very heart of Positano, just a stones throw from the famous church of Santa Maria. A relaxed hotel suitable for intimate weddings or larger celebrations, Hotel Emilia has views across the charming town of Positano. 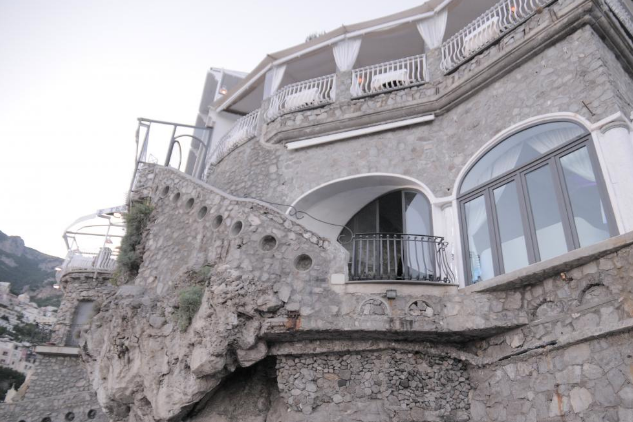 A chic, cliff-face restaurant on the beach of Positano. Ristorante Marco is suited for parties of up to 60. 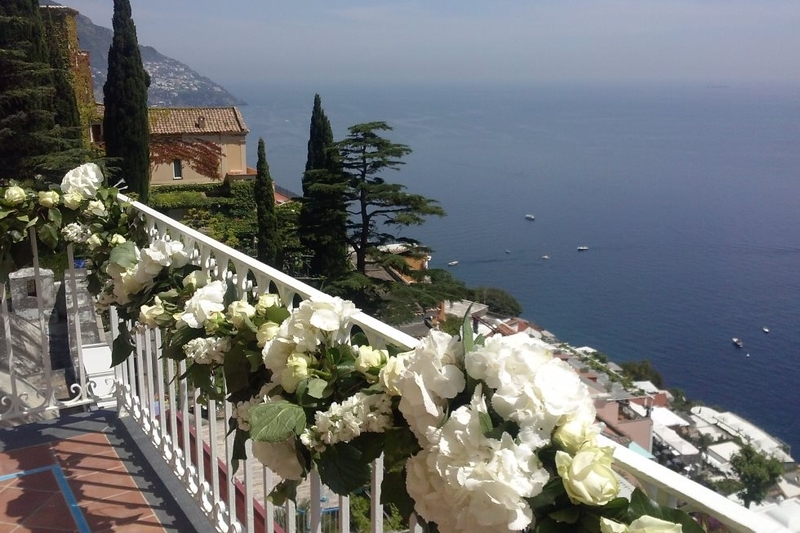 Civil ceremonies can take place at Positano town hall which has an outdoor terrace with stunning sea views. An exclusive event-only villa with intimate, but good sized, grounds and amazing views of the Amalfi Coast. A prestigious hotel dating back to the 11th Century, Villa Grande is an impressive venue for your symbolic ceremony or reception. A well-known 5* hotel in Ravello with a breath-taking infinity pool and sea views to match. Beautiful gardens of Ravello town hall for a civil ceremony with a view.